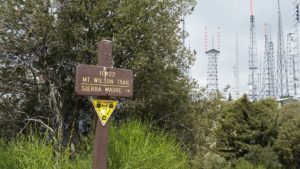 HIKE PREREQUISITE: Must have completed a LATH Level 6 or 7 hike with no problem. PARKING: From the meeting point, we can setup additional carpools. 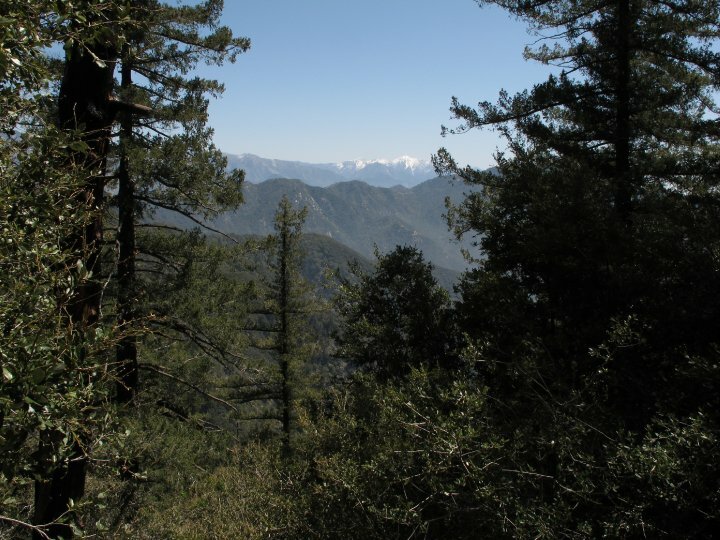 However, you will need a $5 Day or $30 annual Adventure Pass to park up at Chantry Flats. Please get this ahead of time from a local Sports store like REI stores, Big 5 Sporting Goods, and other retailers prior to the hike. Please try to get this prior to the hike. We suggest carpooling to the meeting point as we want to take the least amount of cars up to the trailhead because of limited parking. 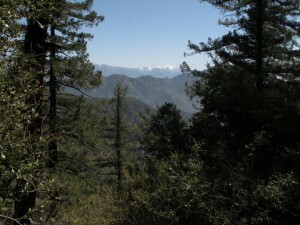 TRAIL WALKTHROUGH (via Upper Winter Creek): We’ll start at the Chantry Flats area to for a 7-mile hike up to Mt. Wilson (about 14 miles round trip). The first 2.5 miles will take us along the Upper Winter Creek loop. This section is quite easy with some fairly even areas. This is the warm up for the next section. We’ll get to the Mt. Wilson connection at mile 2.5. This next mile (2.5 to 3.5) will be the hardest part of the hike. We will try to take rests as needed, but will also try to push ourselves a bit to overcome the area. Expect switchbacks that are similar or a hair more inclined than that of the Castle Canyon on the way to Inspiration Point. After we pass this quick switchback section, (and take a small breather) the next mile will be full of longer, healthy switch backs at a less inclined level. We’ll do the same here and try to continue to keep a good pace on the straightaways. 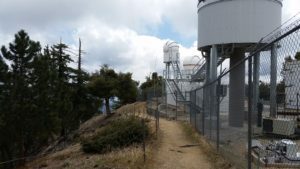 This will take us all the way up to Manzanita Ridge, where we’ll see a wooden bench and take small break. After that, the next 3 miles are out on some loose rocky gravel with some slight gain but much easier than the prior miles. We’ll be taking a nice even pace during this last section until we reach the Mt. Wilson Parking lot. From there, we’ll make our way to the eastern portion of the area to lookout point. We’ll have our lunch break here and fill up on water as needed. We’ll be descending along the route. WATER/ELECTROLYTES REQUIRED. WATER/ELECTROLYTE CHECK WILL BE PERFORMED. 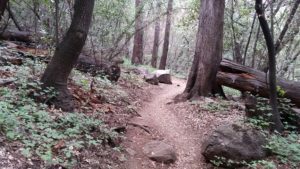 If you do not take enough water/electrolytes or are not appropriately equipped for this hike, you will be turned away from doing this hike with us even if you show up. Please note, that we have expectations for Level 8 hikers. Read all the details in the link above. REQUIRED: WATER, at least 2 to 3 Liters of water and a small water 16/20 bottle. The small bottle should contain electrolytes (sports drink, vitamin water, or something equivalent to it – Electrolyte tablets work best because they can easily be added to your water), comfortable hiking shoes/boots with grip, a hat, sunscreen, a few good quick snacks, and a small packed lunch. 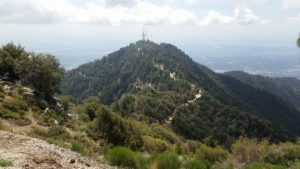 – Keep up together with the hiking group at all times. – Keep a steady pace going uphill. Unlike lower level hikes, this hike is timely and intended to be completed in an adequate time. RECOMMENDED: Rain gear (light water proof jacket with hood), flash light, Trekking Poles, Layers of clothing for the upper body, Scarf, Pants, Sunglasses, Beanie, Gloves, Jacket, some Toilet Paper, Hiking Socks, Food (many citrus or nut-based snacks, a sandwich). * If you have plans on splitting from the group, please reconsider attending this hike. 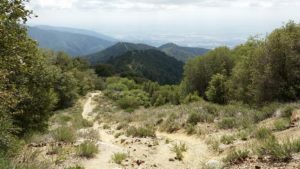 * If you have time constraints, please reconsider attending this hike. * It’s a strenuous hike. Please prepare to be out all day! IS IT DOG-FRIENDLY? : No. Although dogs are allowed in the area, we are requesting NO pets for this strenuous level hike.